The Alaskans, roused by a major earthquake and threatened by the specter of a tsunami, moved in the middle of the night. They shuffled into schools that had become evacuation centers. They parked their cars on higher ground at Safeway and Walmart stores. They rushed up Pillar Mountain. Then, mercifully, the big waves never came, and within four hours, the authorities lifted the tsunami advisories that had once stretched from Alaska to the American border with Mexico. The overnight panic along the Pacific began after a magnitude 7.9 quake was reported at 12:31 a.m. local time in the Gulf of Alaska, according to the United States Geological Survey. There were no immediate reports of damage or fatalities, the authorities said, but the United States National Tsunami Warning Center said a small tsunami, with a wave height of less than eight inches, had been observed in a handful of Alaska cities, including Kodiak and Seward. Hawaii, which this month confronted an errant alert of an incoming ballistic missile, was briefly under a tsunami watch, but much of the alarm was concentrated in Alaska, where the earthquake woke people hundreds of miles from its epicenter. Tsunami warning sirens sounded, cellphones pinged with emergency alerts, and in Kodiak, which suffered major damage when an earthquake in 1964 sparked a tsunami, roads filled as residents rushed toward higher ground. At the Hotel Captain Cook in Anchorage, the lobby shook and an urgent alert from the government appeared to unnerve some guests in the 270 or so rooms that were occupied early Tuesday. The earthquake occurred about 175 miles southeast of Kodiak Island. This region is part of a large subduction zone, where one large piece of the earth’s surface, or plate — in this case the floor of the Pacific Ocean — is slowly sliding under another — the North American continent. The Alaska subduction zone is the source of many earthquakes, including the one in 1964 that, at magnitude 9.2, was the second largest ever recorded. But Peter Haeussler, a research geologist with the United States Geological Survey in Anchorage, said that the 7.9 quake on Tuesday did not occur directly where the two plates meet. Rather, he said, it appeared that the slip occurred on the Pacific plate only, at a point where it bends as it starts to slide under the continent. The direction of the fault movement in this case would be horizontal — more like the San Andreas fault in California — and would be less likely to generate large tsunamis, Dr. Haeussler said. 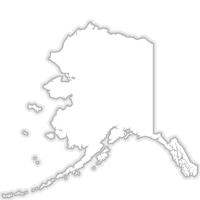 The Alaska Earthquake Center, which is affiliated with the University of Alaska Fairbanks, reported a series of aftershocks, the largest of which preliminarily registered as a 5.6. Tuesday’s quake came nearly seven years after Japan was rattled by a magnitude 9.0 earthquake, the strongest ever recorded there. The earthquake set off a powerful tsunami that breached the sea walls of coastal towns, killing at least 15,000 people and sparking a major crisis at the Fukushima Daiichi Nuclear Power Station. A magnitude 9.1 earthquake, one of the most powerful ever recorded, struck off the Indonesian island of Sumatra in December 2004, generating enormous waves that killed more than 230,000 people, mostly in Indonesia but also in India, Sri Lanka, Thailand and as far away as Somalia. In Yakutat on Tuesday, Ms. Latham recalled how she had driven, with a 90-year-old neighbor and the neighbor’s dog, through 3 feet of snow to get to safety. She eventually parked her sport-utility vehicle in the parking lot of a Catholic church. She waited. And then word from came over the radio: all clear.